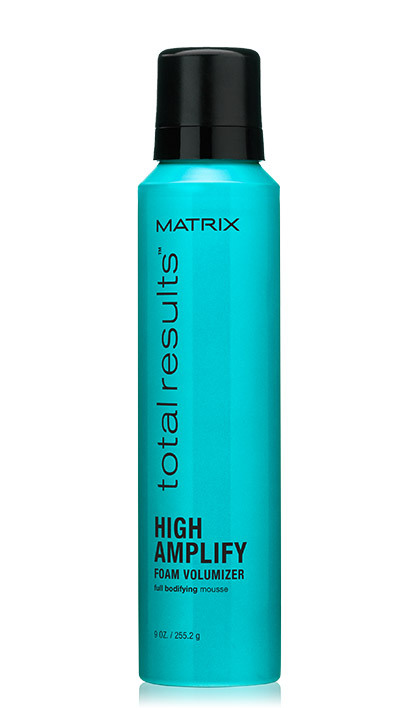 Share https://www.matrix.com/total-results/products/high-amplify/high-amplify-foam-volumizer High Amplify Foam Volumizerhttps://www.matrix.com/~/media/images/haircare/totalresults/high amplify/total_results_high_amplify_foam_volumizer_tr-ha-fv.jpg Provides full-bodied lift and support to give touchable thickness. Lightweight whip adds conditioning shine and lasting body. To use: Apply a golf-ball size amount to towel-dried hair, working evenly from roots to ends. Style as usual.